Adding Products: What’s in the product’s Stats Tab? 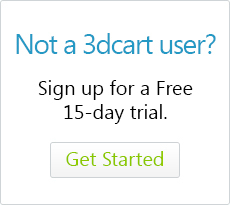 3dcart automatically compiles statistical information about each product sold in your store. This can be useful in determining if a specific product sells better during a particular season, so you can determine when and how often to keep it in stock. Go to Products and search for the product that you'd like to review. Next, click on the Stats tab. Below is a list of the information contained in the product's Statistics Page. The first ranking number is the ranking score based on the total number of items historically sold in the store. The second ranking number is the ranking score based on the total amount (value) historically sold in the store. This comparison between total number sold vs total value sold can be useful in determining the ranking of a product by taking into consideration its value as well as its popularity. For example, you may have a very high-priced item that doesn't sell very often due to its price. Therefore, it wouldn't rank very high on the first line (number of items sold). However, when it does sell, it ranks very high in the second line (value ranking). The first and last dates the product was sold. The average cost of the product (internal/your cost). The average price the product is sold for. Average number of the product each customer purchases per order. Alternately, the product's statistical information can be used simply to determine the product's popularity in general terms for your business. For example, if a product doesn't sell all that well, you can use its statistical information to determine if perhaps you shouldn't order it from your supplier as often as normal and (hopefully) minimize your costs during restocking.